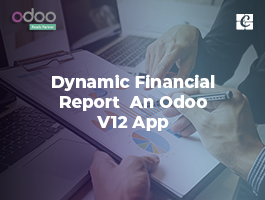 The latest version of Odoo, Odoo 12 comes with upgraded features in the point of sales area. Point of sales is an important part in business and when new features come in it, it will definitely aid the betterment of POS. 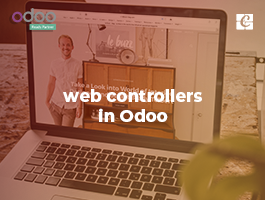 Odoo software with its timely updating behavior is providing various ways of improvement for the point of sales sector and thus making it far more effective. 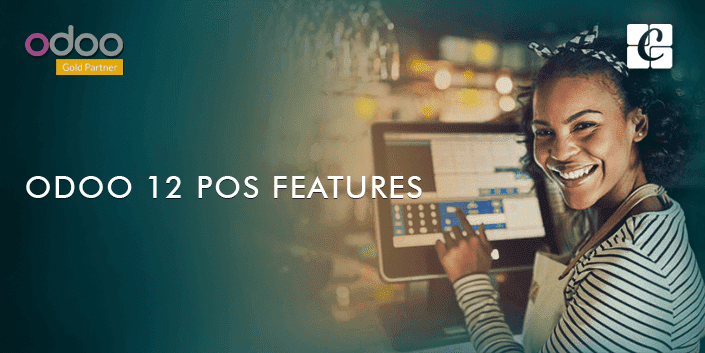 This blog defines the features of Odoo 12 POS. We will be discussing advanced shop features, advanced restaurant features, some advanced topics, and sales analysis. Customers may demand an invoice when they purchase from point of sale. With Odoo 12 POS, one can easily do this. Point of sale -> configuration and select the point of sale. Now you can see the invoicing option under bills and receipts, we have to tick it. The journal in which the invoices are created shall also be chosen. To select a customer go to the session interface and select the customer button. After this, you can select an existing customer and set him as your customer. 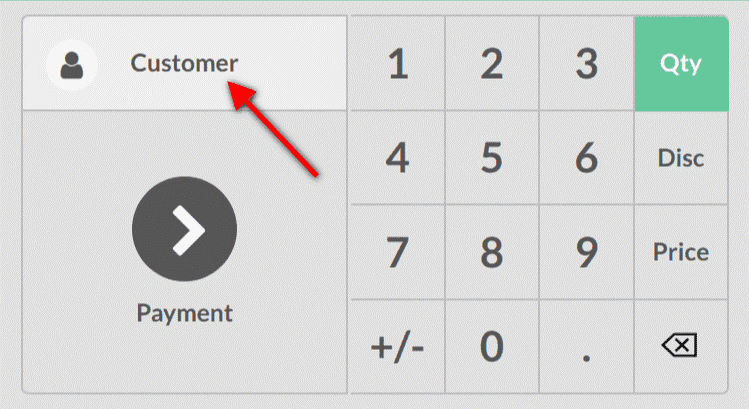 Another option is to create a new customer, for that click on the button marked in red in the above screenshot. 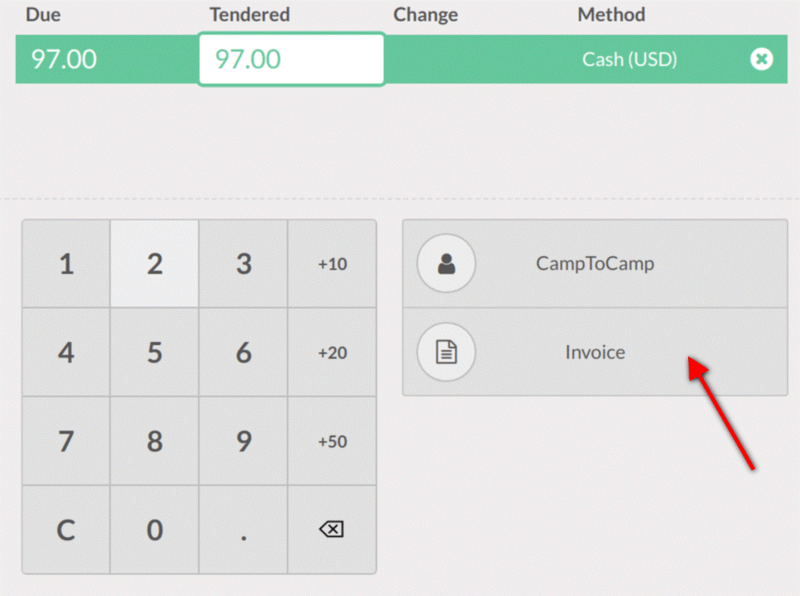 To invoice your customer select the payment screen and choose invoice option. Now select the invoice button and validate it. You also have the option to print your invoice. All your order will be in point of sales -> orders. The invoiced ones can be seen under the status tab. To access invoice just click on an order. Providing a proper return policy to customers is always good for the business. 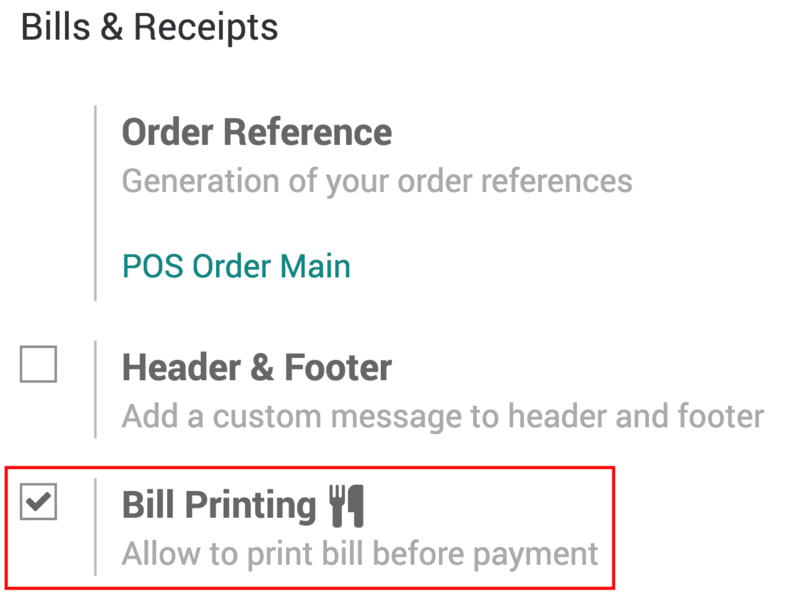 So this feature in Odoo 12 POS is very important. First of all, select the POS interface and select the product for return from the customer side. 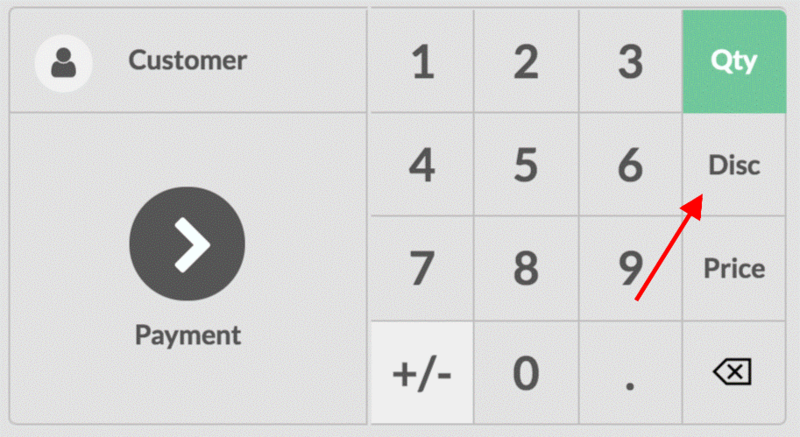 No using the +/- button, the return quantity can be entered. We will have to repeat the process if there are multiple products waiting to be returned. Now from the screenshot, you can see that the total is a negative value, now to finish the refund, all you have to do is process the payment. 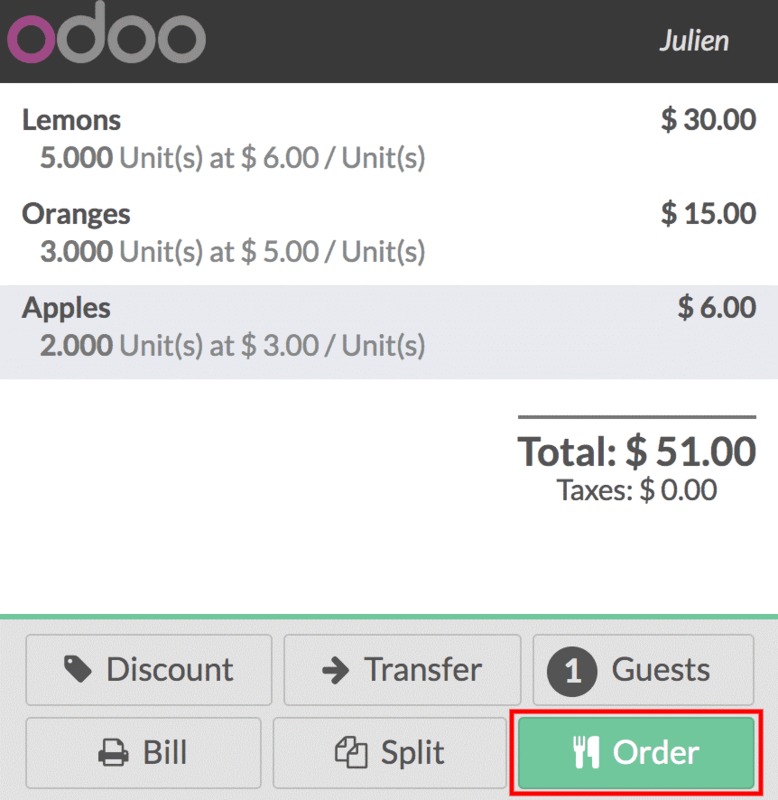 Giving limited period or seasonal discounts is another feature coming in with Odoo 12 POS. To do this first we have to activate the pricelist feature. For that select point of sale -> configuration -> point of sales and then choose POS interface. Now you can choose the pricelist and then define the default price list. To create a price list choose point of sale -> catalog -> price list. Already you will have a public price list, this is apart from that. Criteria’s for using the special price can also be added. In the screenshot you can see a button over the customer button, to get the correct price list click on this button. The prices are instantly updated. 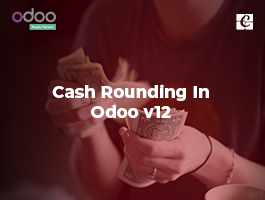 To check the amount in cash box at opening and closing cash control feature in Odoo 12 POS can be used. The cash control setting can be accessed from the payments category. From the screenshot you can see what I need is 275$ in different denominations at opening and closing. By clicking opening/closing values, this values can be created. A new button is added when a new session is opened, it is seen as ‘set opening balance’. The values you add will be used as default but can be modified any time. By using the ‘set closing balance’ button you can close the session. 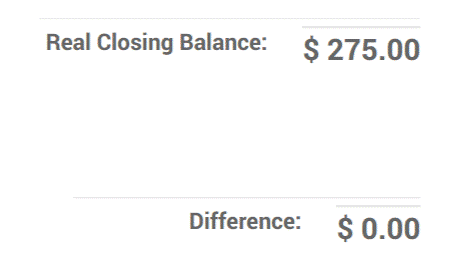 The theoretical balance, real closing balance and the difference between these two can be viewed. There is an option called take money out option, with this one can take the transactions out of the particular session, now your sum difference is zero and opening and closing balance matches. The cash now can be used for next sessions. 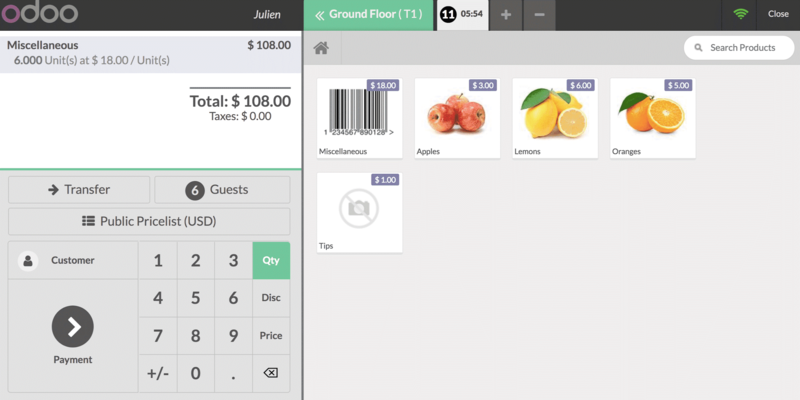 To bring positive changes and increase business in the restaurant field Odoo 12 POS can be made use of. 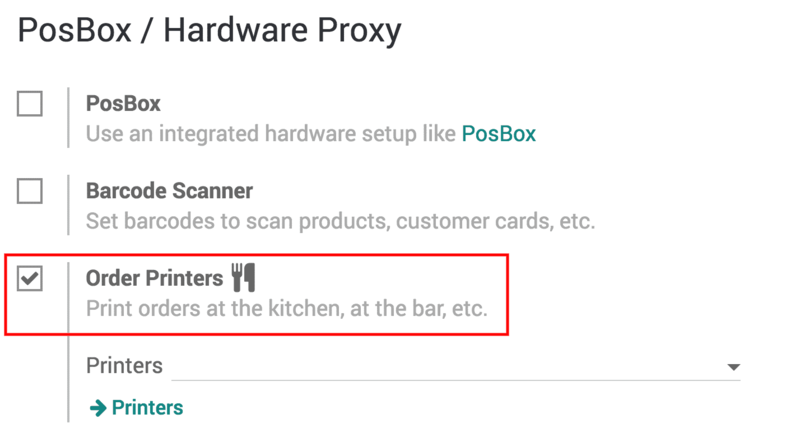 For activating, restaurant/bar feature do the following step. Select point of sale -> configuration -> point of sale. Now you have to select the POS interface. Select the option ‘Is a bar/restaurant’. To set your point of sale you now get various options. These are the options with knife and fork logo next to them shown in the below screenshot. Point of sale -> configuration -> point of sale. 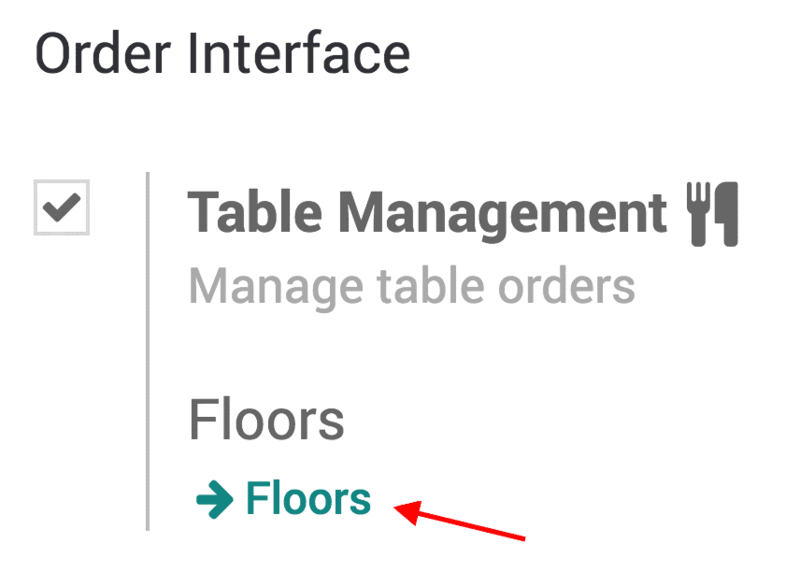 Manage your floors by clicking floors on the table management option. The created floor can be seen in the POS interface. Here click on the pencil icon and then we will get edit mode. Here you can create tables, move them, modify them etc. An example is shown in the above screenshot. Here we have created four tables. Two round tables and two square tables with different seating capacity. We have got options to change shape, size, seating capacity etc. using the toolbar. You can register an order and payment when you select a table, here you will be directed to your usual interface. You also have the option to transfer order to another table. Bill splitting option leaves your customers always happy. 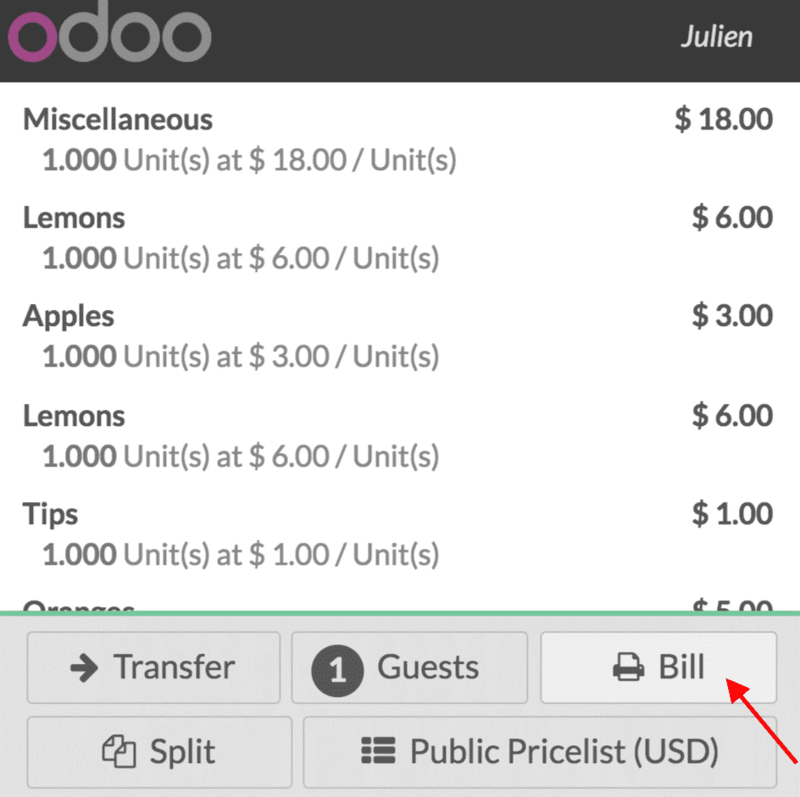 The option in Odoo 12 POS will thus really promote your point of sales. To create bill splitting, select point of sale -> configuration -> point of sale and then select POS interface. 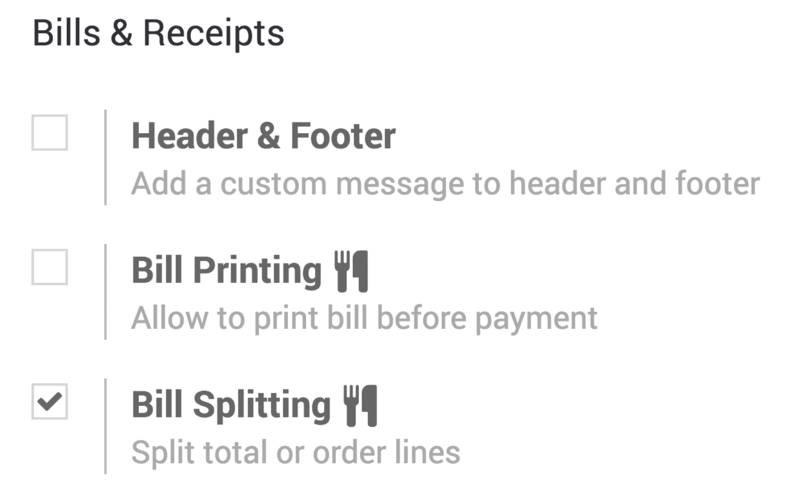 Now you will find bills and receipts category, here you can see the bill splitting option. Now to split a bill, click on the split button in the POS interface. Once you click it, you can select the guest who should process the payment, we can repeat this process for each guest. The feature is used to print bills before their payment. 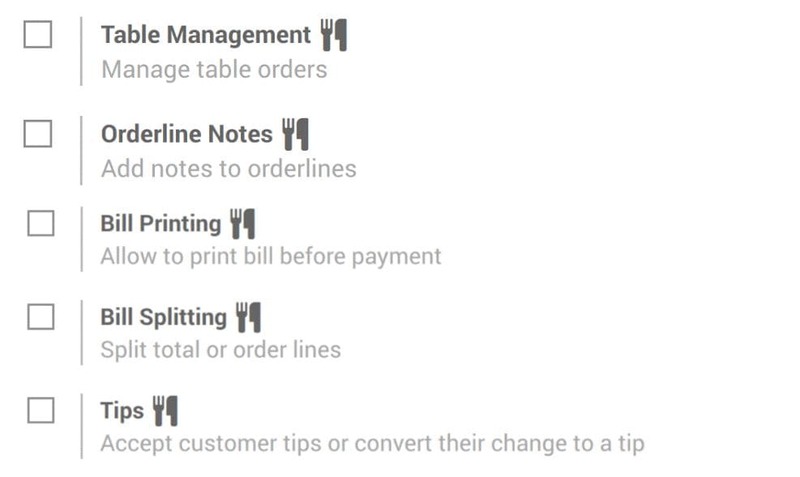 To set the bill printing, the select point of sales -> configuration -> point of sales and select POS interface. Now select the bills and receipts category, there you will get the option of bill printing. 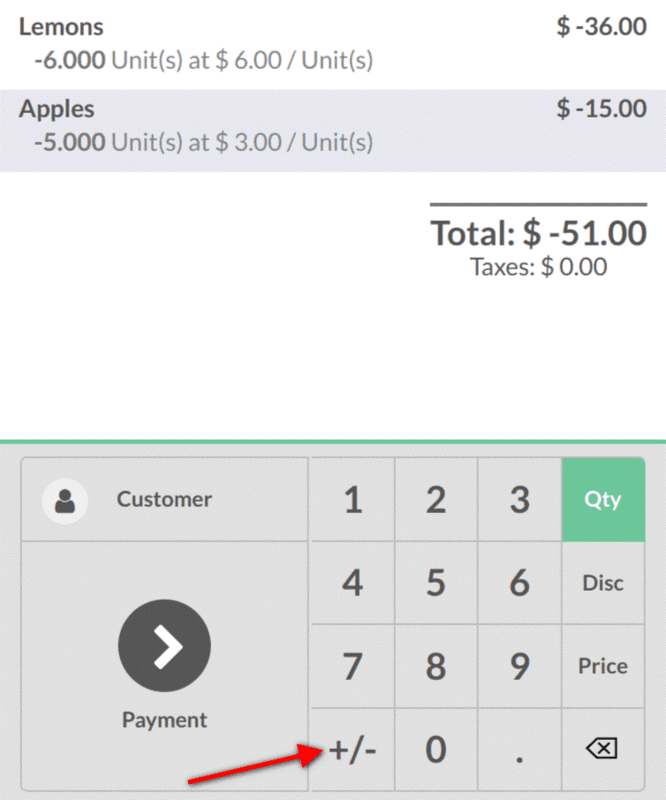 There will be a bill button now in the POS interface, one can use it to print the bill. Printing orders at kitchen/bar will help the restaurant/bar business to a great extent. 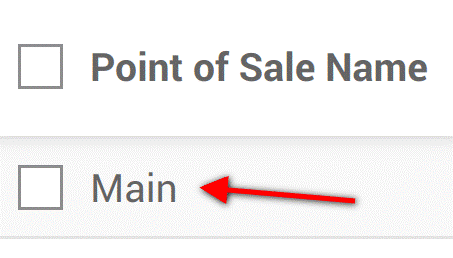 To activate this go to point of sales -> configuration -> point of sales and then select the POS interface. Now in Lot box, you will see the option of order printers. The configuration section will now have ‘order printers’ option, use this to add the printer. Select the ‘order printer’ option. Once clicked, the order gets printed. 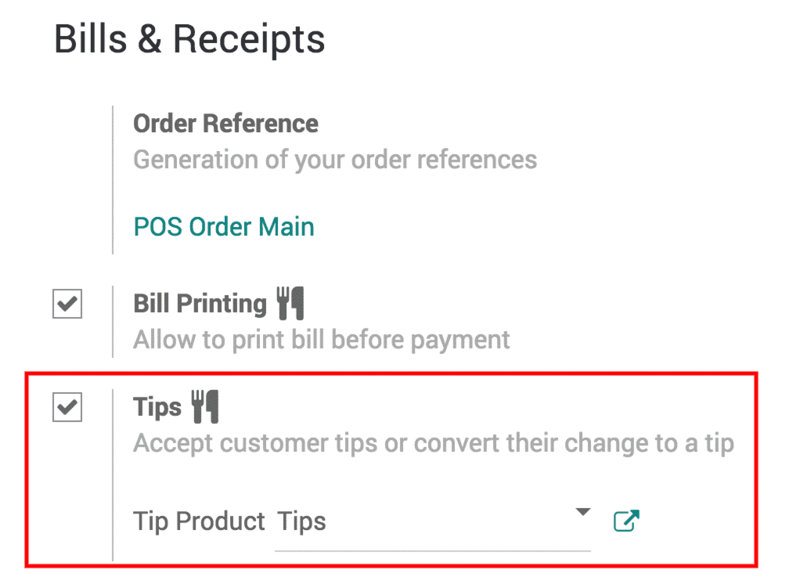 Giving tip is a part of customer culture, Odoo 12 POS has provided an option for that too. To set this up select point of sales -> configuration -> point of sale, after this select the POS interface. Now select the bills and receipts category where you will find tips. Select that option and create tip. 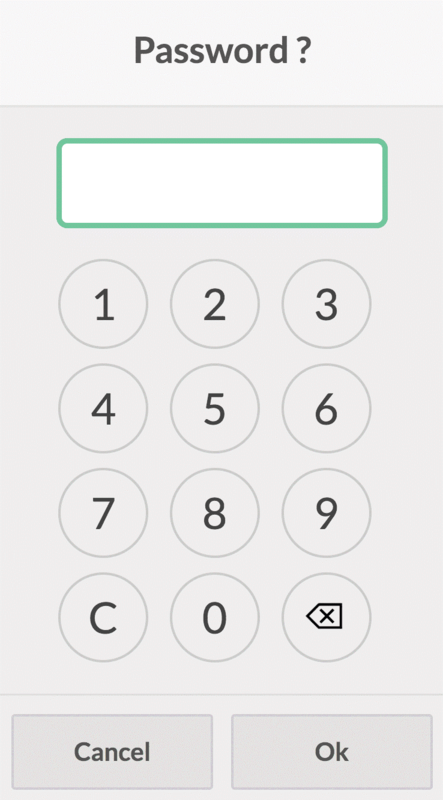 Now to add tips along with bills, click the tip button on payment interface. 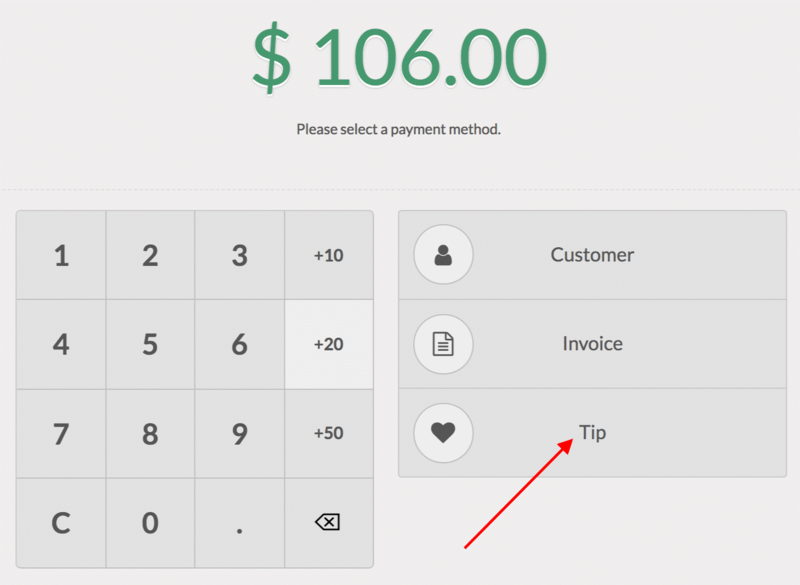 Now you can add the customer tip and process the payment. The option can be used if the customer wants to change his current table. Odoo provisions the facility in Odoo 12 POS. This keep the customers happy and contempt enduring business success. 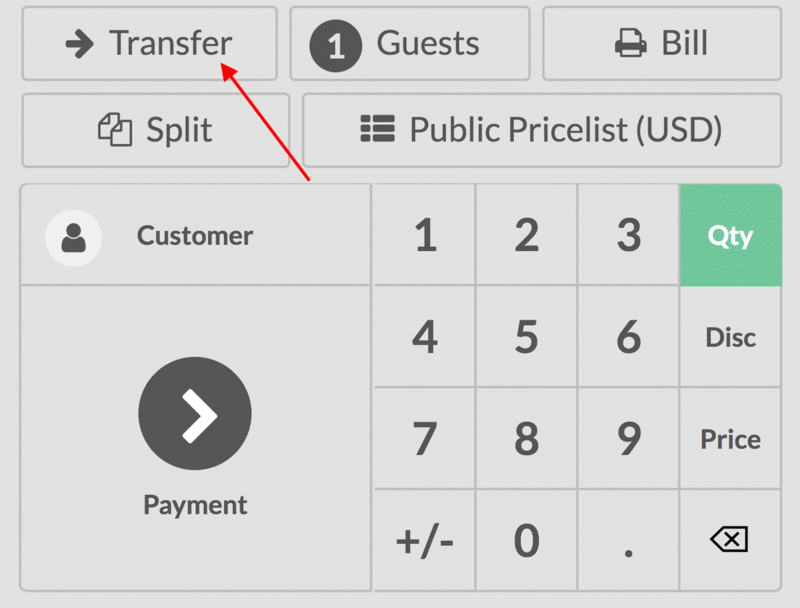 Now by clicking on the transfer button, you can transfer customers to a new table. Simultaneous multiple order taking is also possible via Odoo 12 POS. While registering an order use ‘+’ button to add a new order. Also, payment can be processed on needed time. By using ‘-‘button, a current order can be removed. Using barcode in POS improves the efficiency and time. Select point of sale -> configuration -> point of sale and select the POS interface. Now from IoT box/hardware category, select the barcode scanner. Select point of sale -> catalog -> products, now select a particular product. In the general information tab, there is a field for barcode where you can input any barcode. Barcode is now scanned using a barcode scanner. The product is added and you just have to scan the product. In case of multiple product numbers, all you need to do is change its quantity on screen, no need of repeated manual entry. 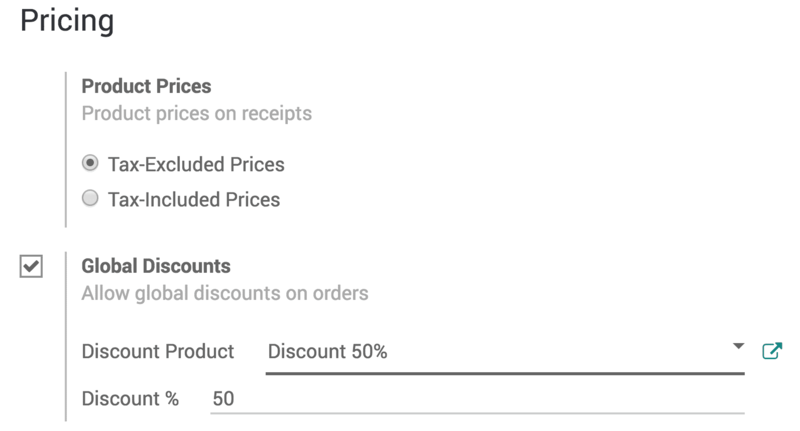 To sell products with a discount, Odoo 12 POS uses the discount tag option. We have the option to scan the discount barcodes. Find the default nomenclature from settings of the POS interface. Now scan the discount tag, the discount gets activated when the transaction is completed. 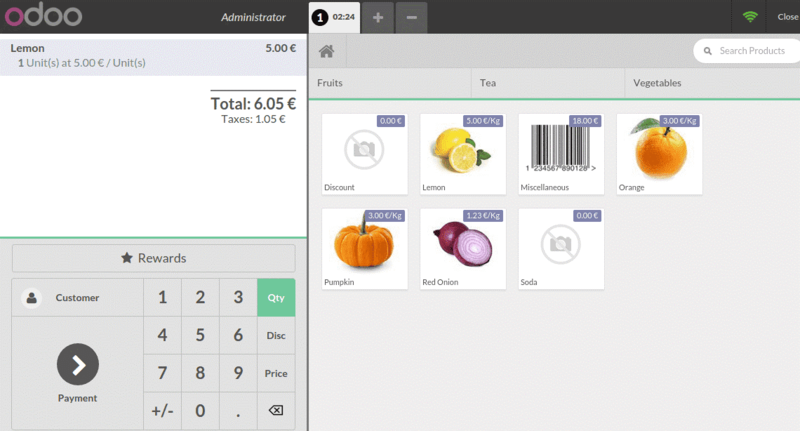 With Odoo 12 POS you can manage multiple cashiers. 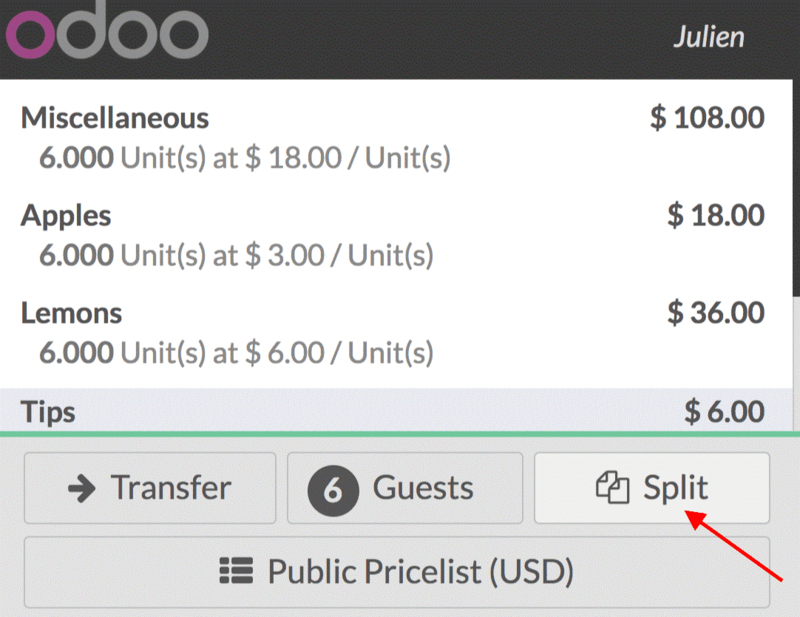 Three ways are there to switch between cashiers in Odoo 12. This is the easiest way. Press the cashier name in the POS interface and you can change between different users and cashier. 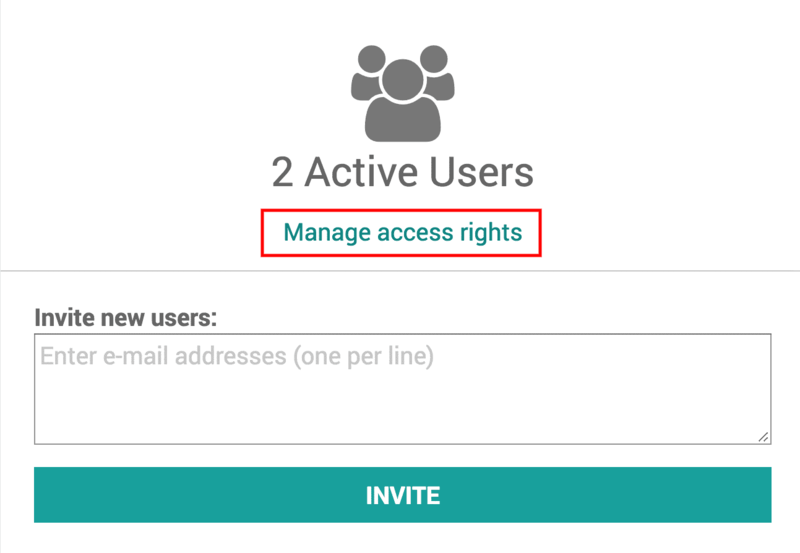 Here we have to set pin code for each user, to set select settings -> manage access rights and then select the user. Add the security pin under the POS tab on the webpage. Now while you switch users, you will be required to input this password. The cashiers can log in themselves with their badges. Now at the place where you put the security pin code, you can put a barcode. When cashiers scan their barcodes, they will get switched. Customers will be encouraged when provided with loyalty programs. 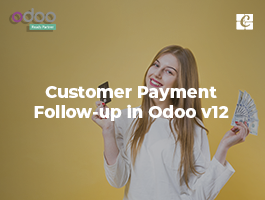 Odoo 12 POS is capable of offering loyalty programs. To activate this go to point of sale -> configuration -> point of sale and then select the POS interface. 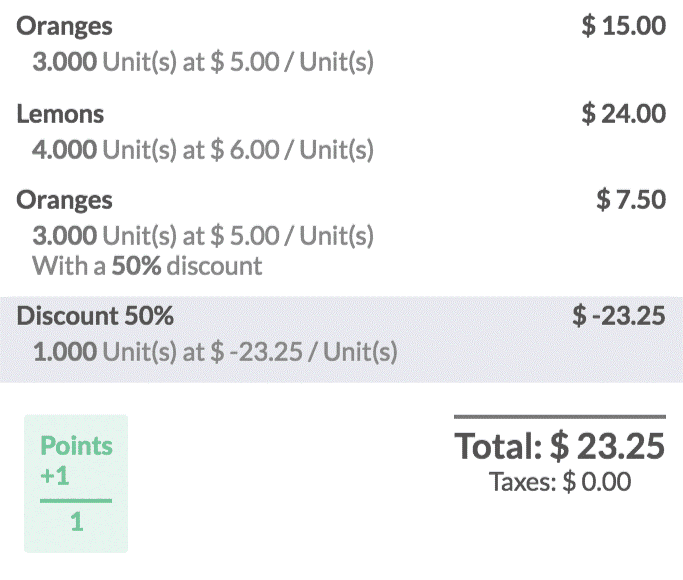 In the pricing feature area, you can find loyalty programs. You can decide the type of program, type of rewards like discount or gift, specifying to which all products the discount shall be assigned etc. The customer is set first, you can now see the points the customer can get for their transaction. 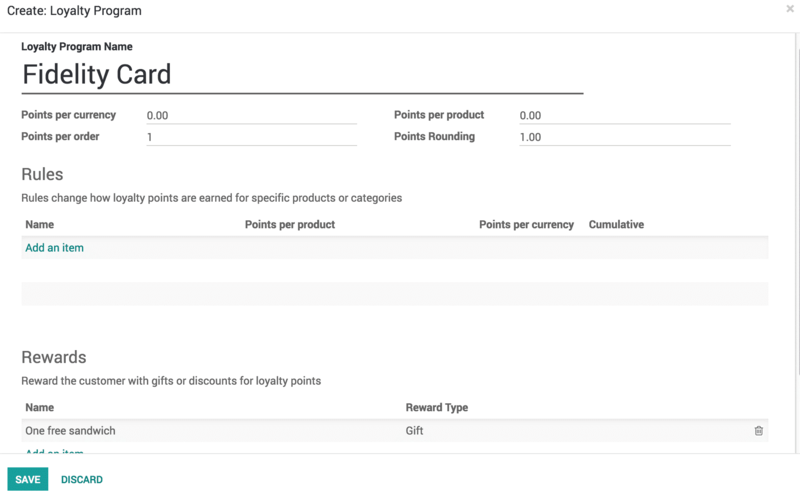 They can accumulate these points and when they have enough points to claim their reward, they can select the reward button to claim their reward, this will be strictly based on the rules set on behalf of the loyalty program. The prices are instantly updated. 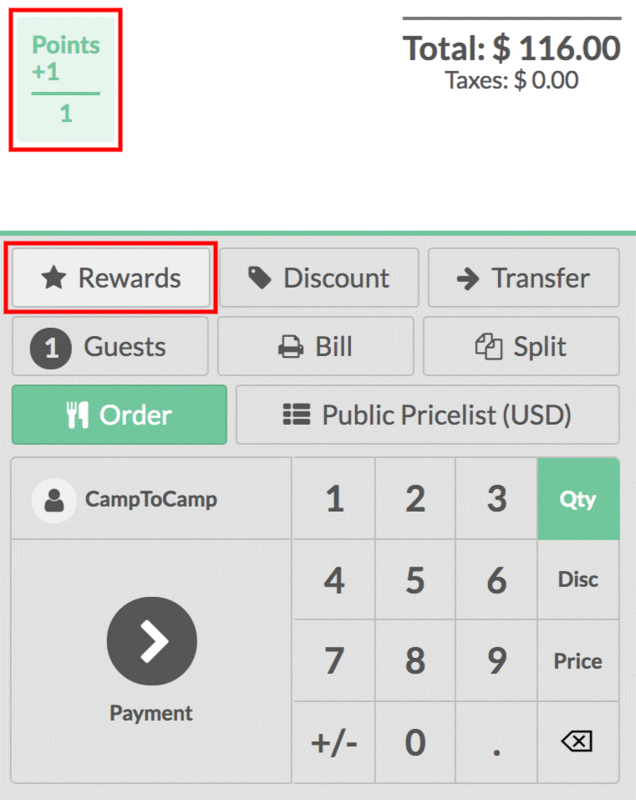 You can also provide discount manually using Odoo 12 POS. This can be applied to specific products or a whole order. Open your session interface and use the disc button. Now on the product currently selected give the discount in percentage and then the discount will be applied. 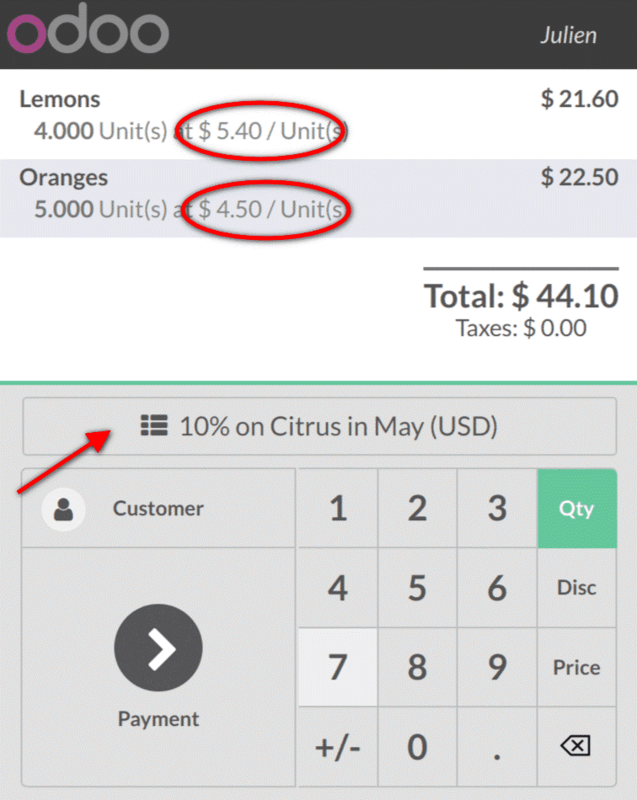 Select point of sales -> configuration -> point of sales and select the POS interface. Now from the pricing category, select global discounts. 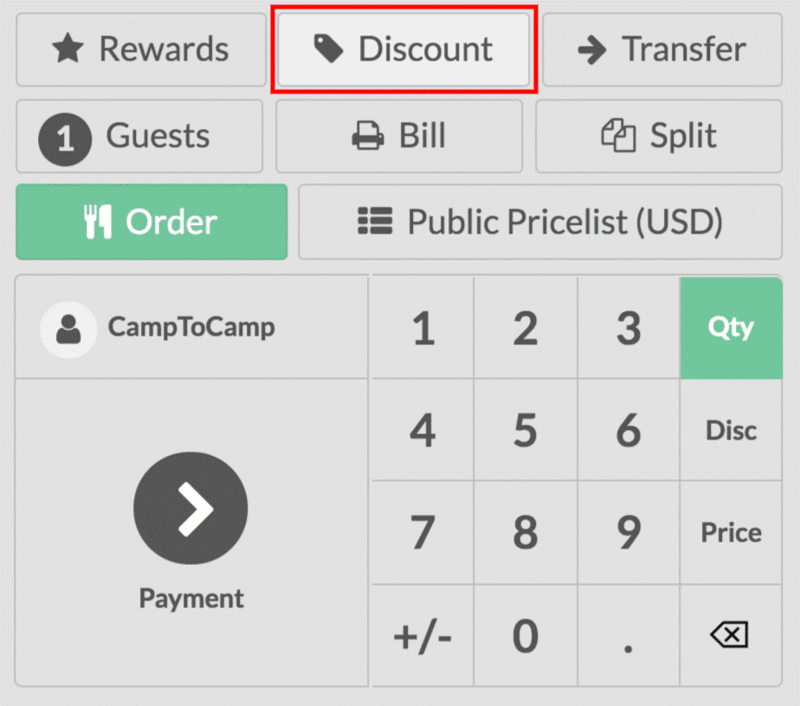 Now a discount button will appear on the POS interface. Click on the discount button and enter your desired discount. Here you can see from the above screenshot that a 50%global discount and a 50% specific product discount is set. 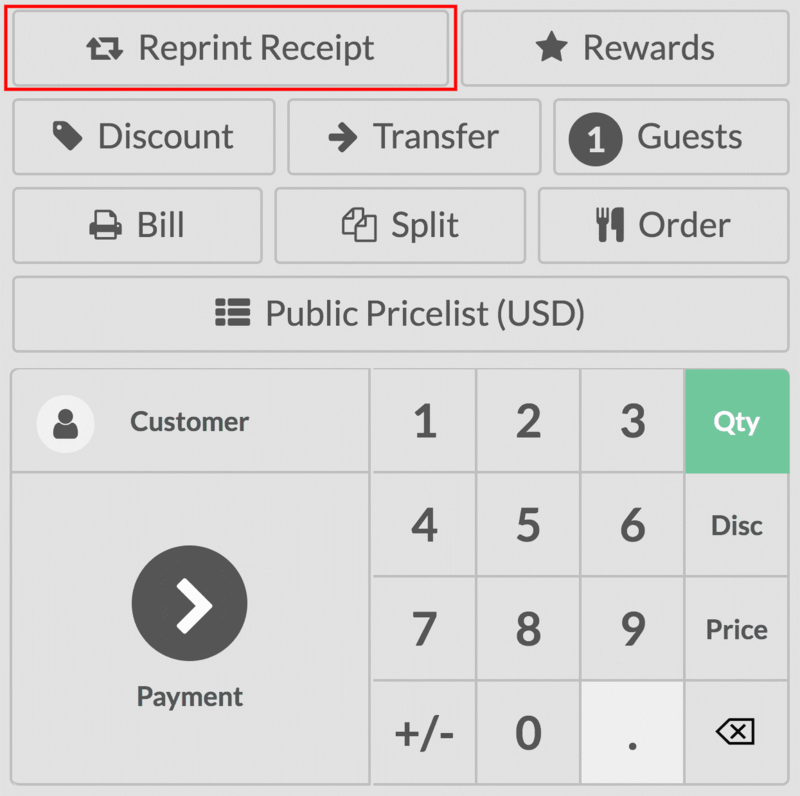 In case you want to reprint a ticket thus feature in Odoo 12 POS can be used. To configure this select point of sale -> configuration -> point of sale and select the POS interface. 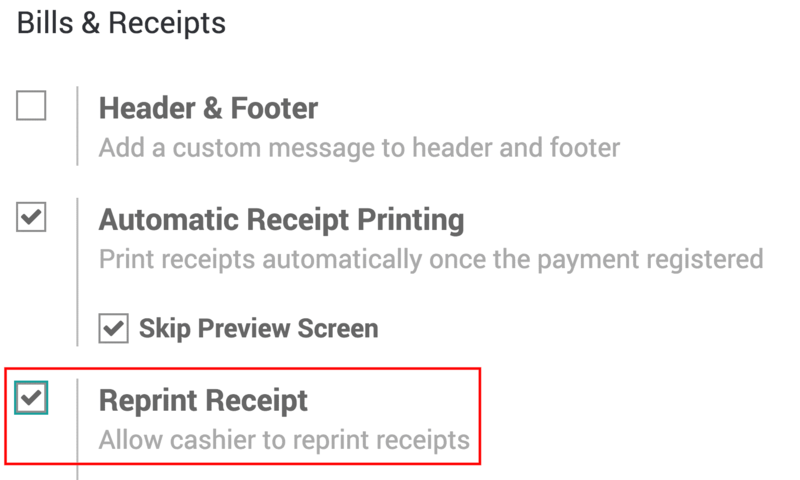 Now you can find reprint receipt option under bills and receipts category. 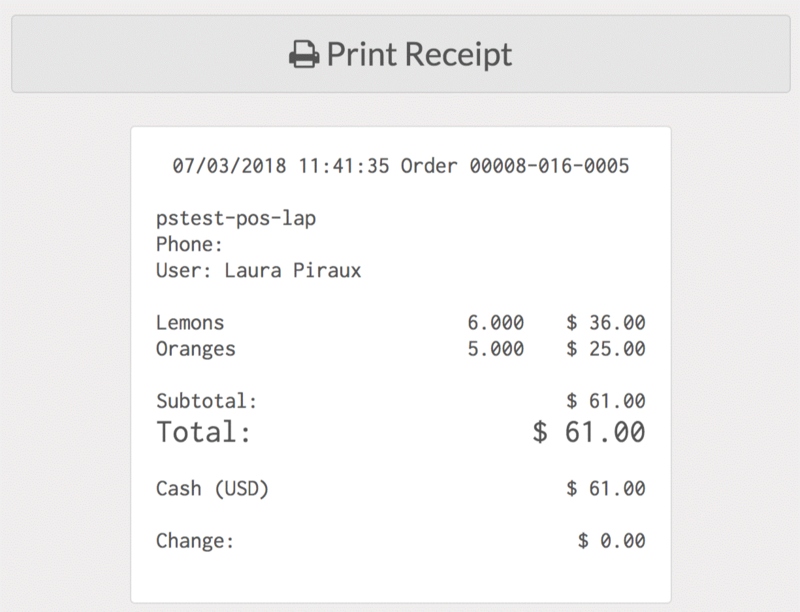 The reprint receipt button will be present in the POS interface. Once this button is clicked your last receipt will be reprinted. Analyzing sales and doing business in accordance with sales trends underlines business success. Now to make this possible, the sales analysis feature of Odoo 12 POS can be used. This will give proper analysis and statistics of the business. The statistics can be viewed both in graphical or pivot from. Now observe the arrow mark in the above screenshot, by clicking here too you can get access to status views. 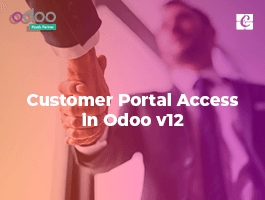 These all are the various point of sales features in Odoo 12.